What deal am I talking about? Well, I want to share my business profits with you. Many visitors to this real estate web site have called to ask me how they can partner with me to generate income for themselves and their families through real estate marketing. "How do I become a partner?" They ask. These folks know there is money to be made in real estate and they want a share of the real estate cake. The good news is this . . . I have a deal for you that will ensure you get a fair share of the real estate cake. I am offering you an opportunity to become a partner-in-sales with my company, ZY Properties. How does this partner program work? It's pretty simple and straightforward. All you have to do to get a share of our real estate earnings is to promote the properties we have to your friends, family, and those in your network in Facebook or other social networks . . . online and offline. So, what do you get for your efforts? You get as much as 30 percent of the management fee paid by the buyer as your revenue share. 30 percent! That is huge! Consider a simple example to see how big your commission can be. One of the properties listed below is priced at 450 million Naira. When you find a buyer for this property, the buyer pays a management fee of 5 percent of the value of the transaction. That is, a management fee of 22.5 million Naira. If you are the person who referred that client to us, you get 30 percent of this amount. That is, 6.75 million Naira. 6.75 million Naira from one transaction. That is huge! I am giving you an opportunity to profit from the real estate industry in Lagos Nigeria. Let me simplify this into simple steps anyone can follow. Below is the steps to earn a fat commission from our real estate affiliate or partner program. 2. Match properties to potential buyers or market all the properties listed below to your website audience or people in your social network. 3. Refer the clients to us. Give them our contact details (our website feedback page url or any of the phone numbers below). People you refer to us can contact us by email or through the phone numbers listed below. 5. Contact us yourself with the customer's information so we know the potential customer is from you. And we can relate with the customer via email or phone (if you want us to). NOTE: 'Follow up' is the key to closing a sale. Want to close as many sales as possible? Just follow up with potential clients. See list of properties for sale below. NOTE: The properties listed below are direct properties. That means we are dealing with the property owners directly. P.S: Real estate agents who promote our direct properties keep 100% of the management fee paid by their client. 2. 21/2 plots of land for sale at Elias estate opposite Owode Onirin spare parts market on Ikorodu road. Land can be sold individually. 3. 10 room tenement house on 344sqm for sale at Ade-Eko street off College Road Ogba. 10. 7 bedroom duplex (all rooms ensuite) with 2 nos. 3 bedroom flat and 2 room penthouse for sale at Oko Oba GRA scheme 1 Agege. Fenced compound with interlocking floor. Marble floor in living room, all rooms tiled. 13. 1 plot of land for sale at Palms Garden Estate Papalanto road Mowe ofada, Ogun state. Anybody can start a business. All it takes is to . . . Unfortunately, majority of business people fail and close shop within two to three years of operation. The simple reason is this . . . most businesses do not have the customer base to generate enough revenue or income to make the business profitable. This means that the biggest problem businesses face is how to get enough customers to their business to make the business profitable. Want to succeed with your new business? Want to grow the profitability of an existing business? 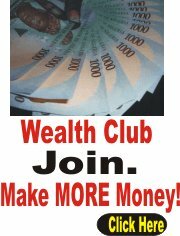 Click HERE for complete details of how to get unlimited customers to your business and smile to your bank.